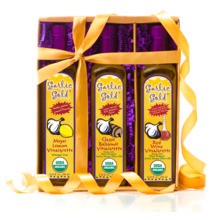 Our newest, Garlic Gold Gift Box, this Gift Box has everything you need for the gourmet garlic experience! 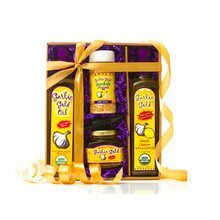 Box contains: Two bottles of Garlic Gold Oil (250ml), one bottle of Garlic Gold Sea Salt Nuggets (2. 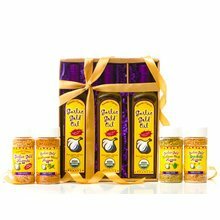 Our newest, Garlic Gold Gift Box, this Gift Box has everything you need for the gourmet garlic experience! 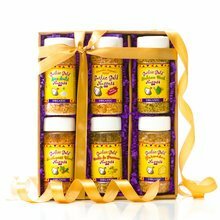 Box contains: Two bottles of Garlic Gold Oil (250ml), one bottle of Garlic Gold Sea Salt Nuggets (2.3oz), and one bottle of Garlic Gold Southwest Nuggets. Our USDA certified organic products go great on just about anything including salads, pastas, pizzas, chicken, beef, veggies, etc. 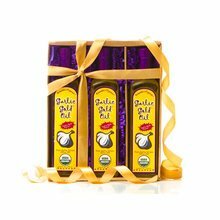 Great gift for chefs, family members, teachers, coaches, anniversaries, etc.